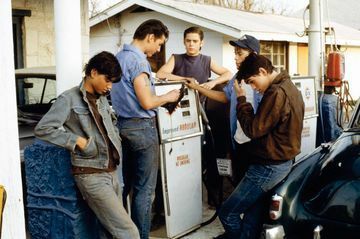 AT THE GAS STATION. . Wallpaper and background images in the The Outsiders club tagged: the outsiders ponyboy sodapop darry two-bit johnny. OMG!! I EFFING LOVE THIS PICTURE!!!! JOHNNYS SOOOOOO CUTE!!! !